Official visitors guide to Jordanelle Reservoir boat rentals company and watercraft services and the marina and State Park. Jordanelle is a large water recreational attraction set in the mountains east of the Park City, Utah; and Heber City. Jordanelle marina boat rentals, jet skis, waverunner, fishing, camping sites with all the amenities including fuel, utility hookups, store, and restaurant. Jordanelle is very popular for water sports during the summer months and offers good fishing all year round. Along the shores of Jordanelle State Park are picnic and camping opportunities for your boating vacation. There are no sandy beaches mostly rocks and dirt along the shore. 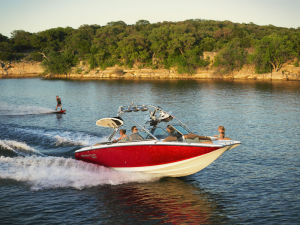 Our fleet of high-end boat rentals offers you to enjoy the best luxury ski boats on the market today! In the main summer months Jordanelle Reservoir State Park is extremely busy on major Holidays, and weekends so arrive early to get your spot. Jordanelle Reservoir is located right off US Hwy 40, this 3,078 acre reservoir provides the ideal setting for any type of water toys. 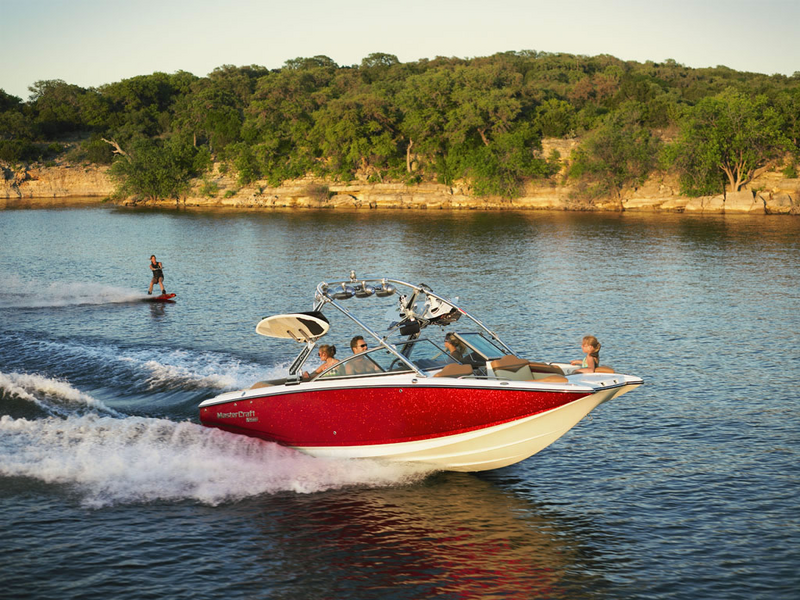 Constructed in 1992, Jordanelle has become an oasis for boaters, water-skiers, tubing, kneeboarding, and wakeboarders. Boating facilities at Hailstone recreational marina are on the west shore of the reservoir which includes two separate boat ramps. The water conditions are generally choppy at this lake during the day hours, but offer nice wakeboarding, wake surf, and water ski lessons during the morning and evenings.